it's been a few months since i've been able to post. since my last update, i've continued volunteering at the library preservation department in addition to work and taking a supplemental chemistry course. 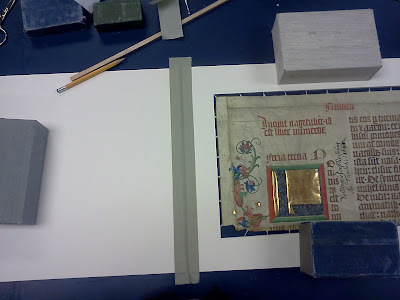 one of the more interesting projects i've helped with has been the matting of vellum illuminated manuscripts. when i first arrived at the ALF a year and a half ago, my very first job was to cut thread into 2-3 inch pieces and fray the ends. 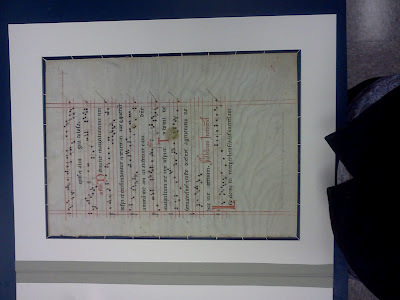 those threads i've now used up, and made more, and used those up as well matting these manuscripts. 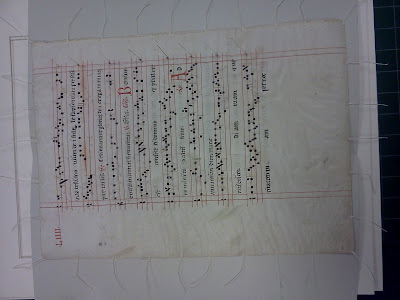 the threads are attached with wheat paste to the edges of the manuscripts. the ends are frayed so the wheat paste has something more to hold on to. the other ends of the threads were then attached to mats. two mats were cut with openings that gave about 1 cm of allowance around the manuscript. the threads were attached to the first mat, then the second was put on top to seal the threads in. 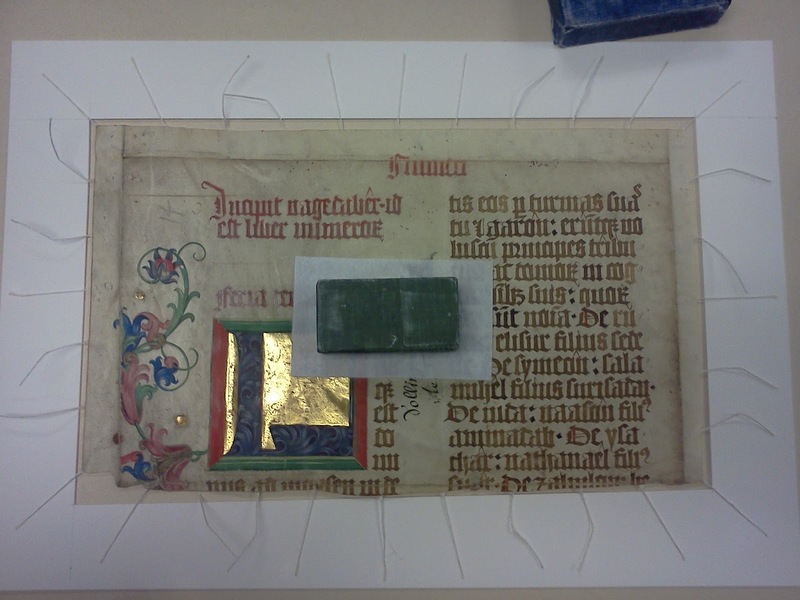 the mats and manuscript were then attached to a third solid mat to create a type of folder to provide protection and additional support. when i first began, and the reasoning behind using the thread was explained to me, i was blown away. so simple! so logical! 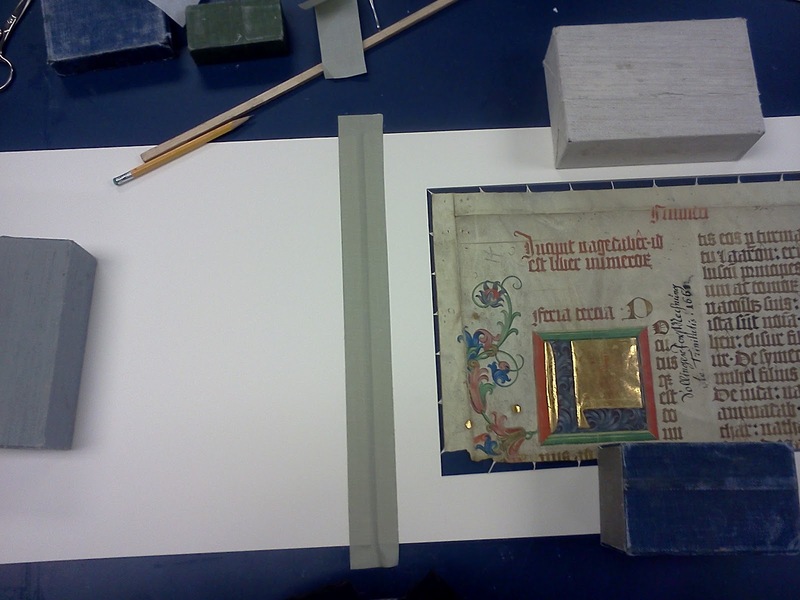 the vellum is skin, and expands in a humid environment and contracts in a dry one. thread does the opposite - it winds tighter when humid. 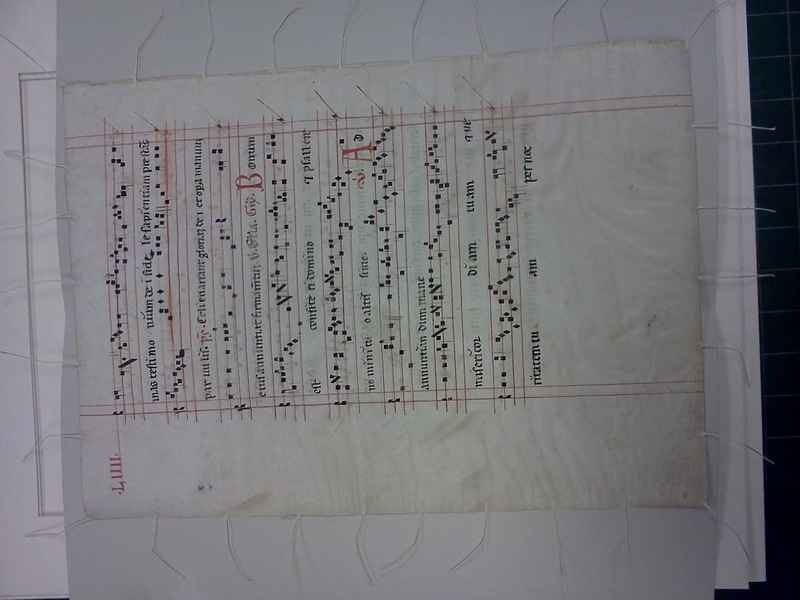 in this way, the relationship between the thread and the vellum is a sort of symbiotic one.